St Francis Catholic Primary School wins Queensland Teachers College, ‘Insteamo: – Inspiring Teaching Moment Photography Competition. St Francis Catholic Primary School in Tannum Sands caters for students from Prep to Year 6. The principal of St Francis, Mrs Kathleen Watt is thrilled to share that the school has recently been announced the winner of a photographic competition. 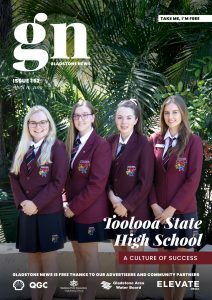 Curated by the Queensland Teachers College, the ‘Insteamo’ competition celebrates inspiring teachers. QTC encourages schools to submit entries or videos of teachers captured in an inspiring teaching moment. The winning photograph will be used by the Queensland College of Teachers in promotions and other marketing material. The photograph was captured by local photographer Hayley Bracewell. Our Gladstone News writer Em, sat down with Mrs Watt to chat about the learning opportunities for children at St Francis Catholic Primary School in Tannum Sands. What are the main points that make St Francis Catholic Primary School unique? Our daily interactions with the school community bring to life the vision of an authentic Catholic school. Our Franciscan values of peace, love and acceptance permeate all that we do. We provide an education that is spiritually nurturing, intellectually challenging and emotionally caring. Our school community values each child’s right to learn, be safe and be respected. We offer care beyond the curriculum through the establishment of quality interpersonal relationships. At St Francis we are committed to providing deep quality learning and teaching that is relevant and challenging, aligned with the Australian Curriculum and taught through best practice of 21st Century education. The school is in an ideal location, how does the school use its environment as a teaching and learning tool? We are very blessed to be surrounded by the Boyne River, Canoe Point and luscious bush lands. 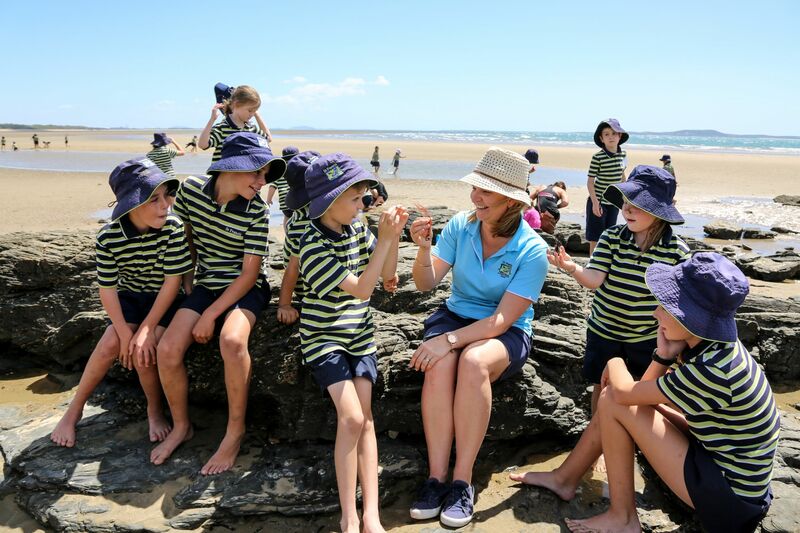 Our students continually explore the rock pools, river banks and wildlife in our area and teachers tie that into the curriculum using real-life investigations. As soon as students are exploring wildlife and the features of the environment, levels of learning engagement skyrocket. Can you please explain how the school achieves a balance between Social/Emotional Well-being and Academic Learning – and why does the school feel this is important in a child’s development? Relationships underpin who we are at St Francis – our relationship with God and our relationship with each other. The Personal and Social Development Education program within Catholic Education is embedded within Key Learning areas of Health and PE, Religion and Our Child Safety Curriculum based on the Daniel Morcombe program. All people have the right to feel safe, to be respected and to learn in an environment that is supportive and restorative – this key message is pivotal for us. What kinds of extended learning experiences does St Francis offer its students? At St Francis, we cater for all students to reach their full potential. Our students are fortunate to experience enrichment learning in robotics, coding, computational thinking, digital technologies, extension writing and outdoor environmental science. We partner with many organisations including Boyne Island Environmental Education Centre (BIEEC), Boyne Smelter Ltd (BSL), Creative Recycling and local artists and the CQU STEM hub network to bring authentic learning experiences to our students. Our camps and Student Leadership programs provide yet another opportunity for our senior students to grow in independence, confidence and compassion for each other and for our world.